Florida and Georgia actors, get on stage and screen this week! 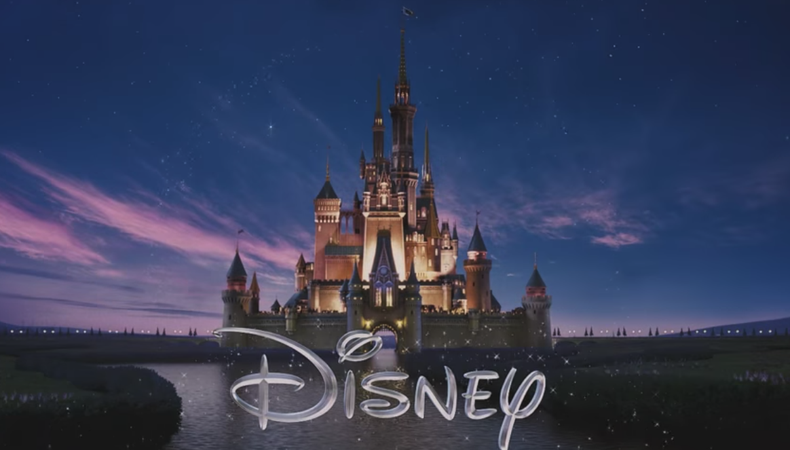 Two television series are casting talent for background roles, Hulu’s “The Act” and TNT’s “Beast Mode.” Plus, the Horizon Theatre is casting talent for a production of “Pipeline” and Disney Parks Live is casting singers and dancers for three different shows at Disney World. Disney Parks Live is casting two shows, “Beauty and the Beast - Live on Stage,” and “Mickey’s Royal Friendship Faire.” “Beauty and the Beast,” needs male and female talent, aged 18 and older. Females performers should be 5’7”–5’10’ tall and male performers should be 5’10”–6’2” tall. Performers should have strong ballet technique and be well-versed in musical theater dance. “Mickey’s Royal Friendship Faire,” also needs male and female talent, aged 18 and older. Female performers should be 5’3”–5’6” tall and male performers should be 5’10”–6’2” tall. Candidates must have great technique, be well versed in musical theater, and have a strong stage presence. Additionally, male talent with tap and/or tumbling skills is preferred. Performances take place in Orlando, Florida. Talent will be paid a minimum of $17.08 per hour, plus Equity pension, Equity 401k, and Disney health, under an Equity Disneyworld Contract. An open casting call is scheduled for Feb. 1 and an Equity Principal Audition will take place on Feb. 2 in Kissimmee, Florida. Apply here! Disney Parks Live is seeking vocalists for “Voices of Liberty,” an a cappella ensemble that sings traditional American songs arranged for eight-part harmony. The show is casting male and female talent, aged 18 and older, with extreme vocal range and control, sight-singing, and strong memorization, for full-time and substitute roles. Performances will take place at the Walt Disney World Resort near Orlando, Florida. Talent will be paid a minimum of $17.08 per hour, including Equity pension, Equity 401k, and Disney health, under an Equity Disneyworld Contract. An open casting call is scheduled for Jan. 29 and 30 in Kissimmee, Florida. Apply here! The Hulu true crime anthology TV series “The Act” is casting talent for background roles. The show, starring Chloë Sevigny, AnnaSophia Robb, and Patricia Arquette, tells the story of a girl trying to escape her toxic relationship with her overprotective mother. The production is casting female talent, aged 18 and older, to play tough looking women with law enforcement experience. Shooting is scheduled for Jan. 17–28 in Savannah, Georgia. Talent will be paid $80 for eight hours. Apply here! A TNT drama pilot, “Beast Mode,” is casting talent for background roles. The show, starring Anika Noni Rose, follows the personal and professional life of boxing trainer Marsha Blackstone. The production is casting female talent, aged 18 and older, to play Ring Card Girls. Talent must be “beautiful,” 5’4”–5’9” tall, wear a dress size 0–6, and be comfortable in the equivalent of a bikini or booty shorts. Shooting is scheduled for February 5–6 in Atlanta, Georgia. Talent will be paid $300 for 10 hours. Apply here! An instructional video needs talent to discuss and demonstrate medical furniture, including chairs and exam tables. There will be 20 different products demonstrated over a two day period. The production is casting male and female talent, aged 32–55, to serve as the spokesperson for the various products. Shooting is scheduled for Jan. 30 and 31 in Orlando, Florida. Talent will be paid $400 per 10-hour day. Apply here! Horizon Theatre Company is staging a production of “Pipeline” by Dominique Morisseau and casting Equity talent. The play follows a public high school teacher, Nya, who must deal with the consequences of her son’s behavior at a private school. The production is casting African American male talent to play the roles of Omari, for an actor, aged 18–25, Xavier, for an actor, aged 35–39, and Dun, for talent, aged 30–25. Other roles include Nya, for African American female talent, aged 35–39, Jasmine, for African American or Latina/Hispanic female talent, aged 18–25, and Laurie, for Caucasian female talent, aged 50–59. Rehearsals begin on Feb. 18 and the show runs from March 29–April 1 at Horizon Theatre in Atlanta, Georgia. Talent will be paid $479 per week under an Equity SPT Tier 6 Agreement. An Equity Principal Audition is scheduled for Jan. 24. Apply here!